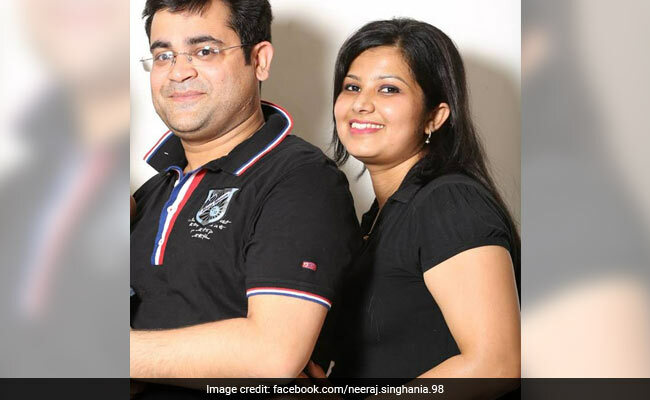 Neeraj Singhania and his wife Ruchi, who got married four years ago, were found dead in the bathroom of their house last night, district police chief HN Singh said. Ruchi and Neeraj Singhania were married for the past four years. A couple was found dead under mysterious circumstances at Gyan Khand area of Indirapuram in Ghaziabad, police said today. The bodies were spotted by the family members. The couple was rushed to the hospital where the doctors declared them brought dead, he said. Prem Prakash, father of Neeraj, said that the couple had retired to their room after the Holi festivities last night. The bodies have been sent for postmortem, Mr Singh said, adding the matter is being investigated. No complaints have been filed in the matter yet, the officer added.